﻿ How to make LSX screw sand washing machine more efficient? 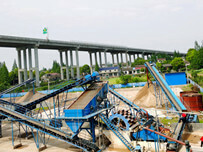 Location: Home » NEWS » How to make LSX screw sand washing machine more efficient? How to make LSX screw sand washing machine more efficient? LSX screw sand washing machine is a new type machine in LZZG, on the basis of sand washer. 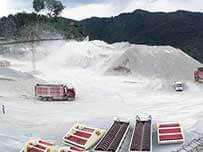 it is widely used for cleaning materials in quarry, minerals, building materials, transportation, chemical industry, water conservancy and hydropower, cement mixture station and so on.They are ideal for construction sand producers, mining companies, saltreclamation and glass recycling. It integrates the functions of washing, recycling and screening, and with the main advantages of low water cinsumption, high quality find sand, considerate economic benefits, environmental-protection and energy saving and so on. 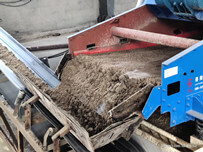 At present, there are many types of sand washing machine in the market, and all of them with their own characteristics.Well, with the development of the economy, people are becoming more and more aware of the importance of protecting enviroment.Besides, with the rapid progress of technology, many manufactures are keeping pace with time and continue to develop and improve their products so as to meet customers’need as much as possible.LZZG is a reliable, responsible and advanced companmy,it devotes to innovate new type machine in case of being eliminated by the market.Therefore, LSX screw sand washer has appeared.Now, LZZG will share the tips about how to make LSX screw sand washer more efficient. First of all, maintanance is an irresplaceble factor on it. 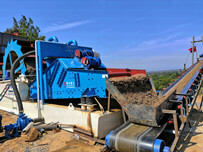 Without providing this machine a good maintenance, even though its quality is best,there is nothing to do at the end. Besides, pay more attention to its spare parts, for every parts are very importante.If one of the part goes wrong in operation, then it it will not only take time and effort, but it will also cost maintenance and affect the progress of the project. Anyway, if manufactures want to use machine a long time , it deserves to be cared after.Only in this way can the machine operates more efficient.